Discover GoodTalk... Discover the future of Dual SIM technology. 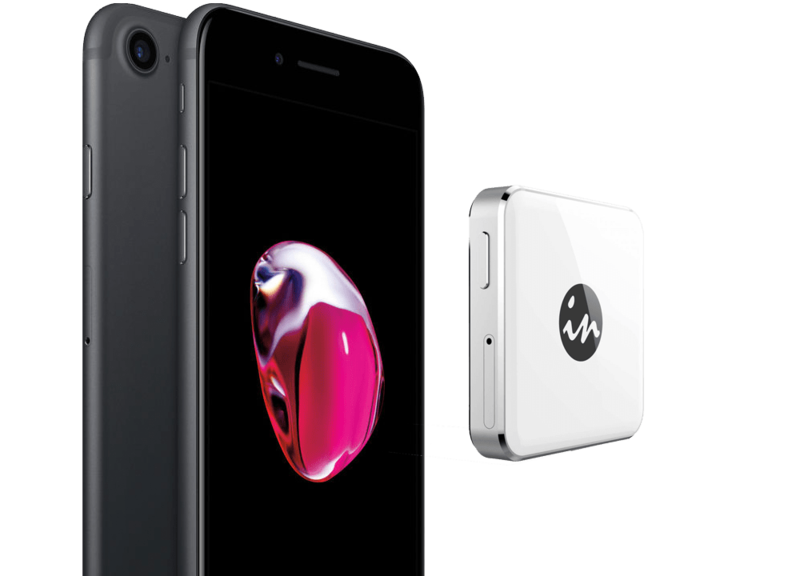 The brand new GoodTalk S model is a tiny companion device that holds any GSM SIM card, allowing you to add voice calls and sms from that card to any Apple iOS smartphone device via Bluetooth®. iPhones only allow you to have 1 sim card active at a time. But GoodTalk allows you to have a second SIM card active on your phone. Users of iPod Touch or iWatch can connect to GoodTalk and automatically enable all iPhone features, with the addition of voice calls and sms via GoodTalk's GPRS/EDGE. An iPod Touch costs much less than an iPhone and in most cases users will never need to sign a contract with a carrier. Simply insert any GSM SIM card and turn your iPod Touch or iWatch into an iPhone. Users of Apple iPad can link with GoodTalk for voice and sms. Most Pad users only buy the WiFi option. But WiFi Pads cant be used everywhere. Now with GoodTalk, all Pad users can make phone calls and send texts anywhere. GoodTalk is the smallest, thinnest, lightest, most portable companion device we've ever sold. It communicates with your phone via Bluetooth within a 15m range, so you can hide it in a pocket or bag. GoodTalk's longlasting battery is rechargeable by USB. GoodTalk is easy to use. Simply insert your second SIM into the GoodTalk. Then install GoodTalk's app from the App Store or iTunes. And that's it: your phone is now a Dual SIM phone, with both SIMs active at the same time. When making calls or texts, simply select which SIM to use: your phone SIM, or your GoodTalk SIM. GoodTalk will indicate which is in use. GoodTalk also indicates which SIM incoming calls are made to.